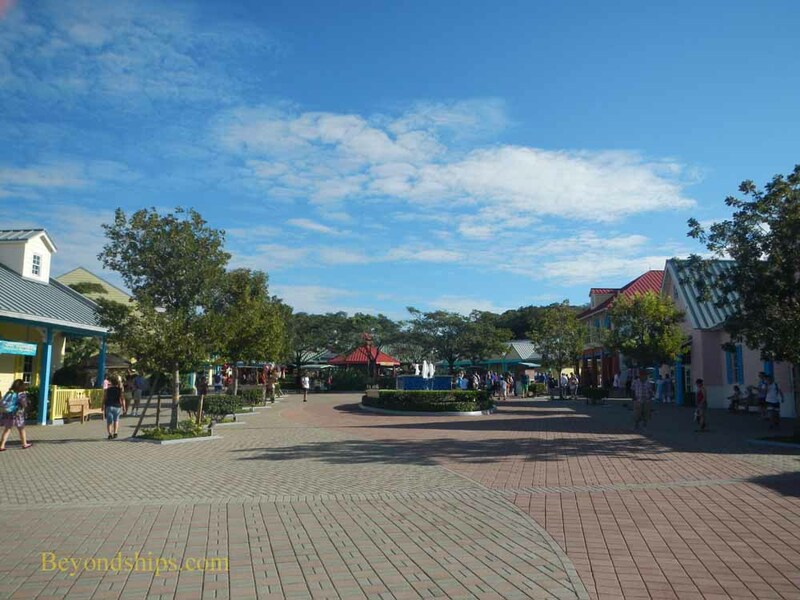 The first area that guests encounter at Mahogany Bay after leaving the ship is a large shopping plaza. 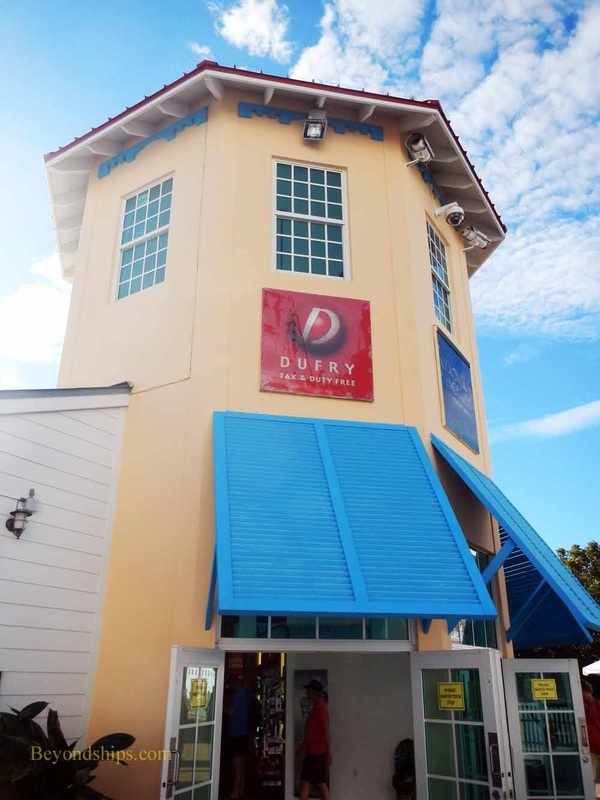 Indeed, in order to access the cruise ship piers, guests have to walk through a Dufry International shop. 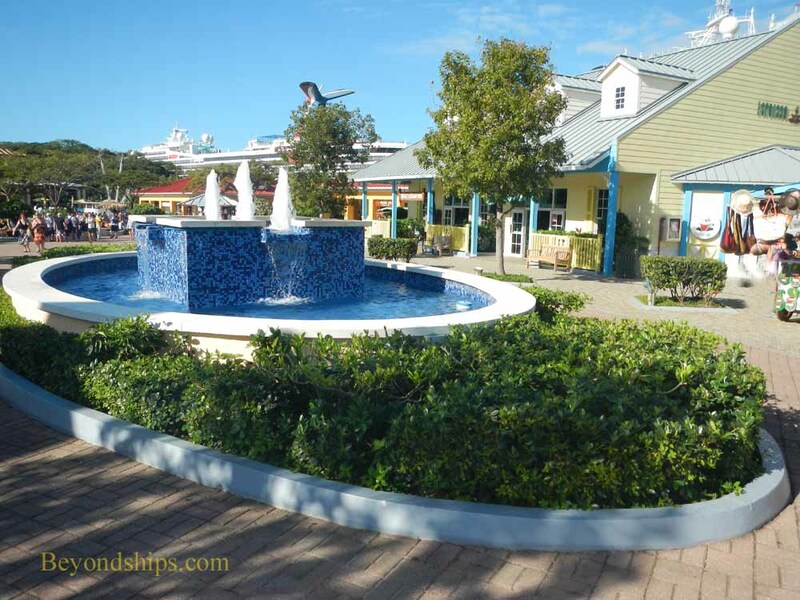 Many of the shops in the plaza are operated by name brand retailers. However, there are some stalls with local merchandise. 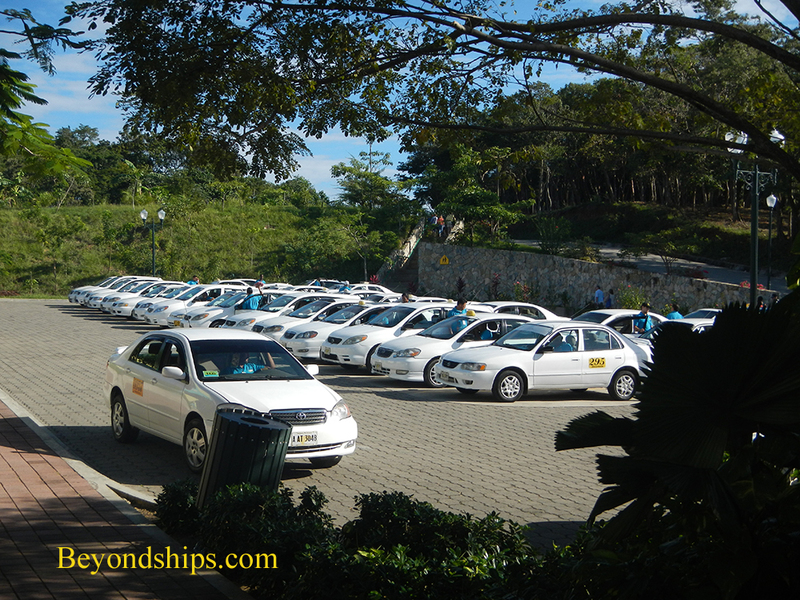 In addition to being a shopping center, the plaza acts as a transportation hub. 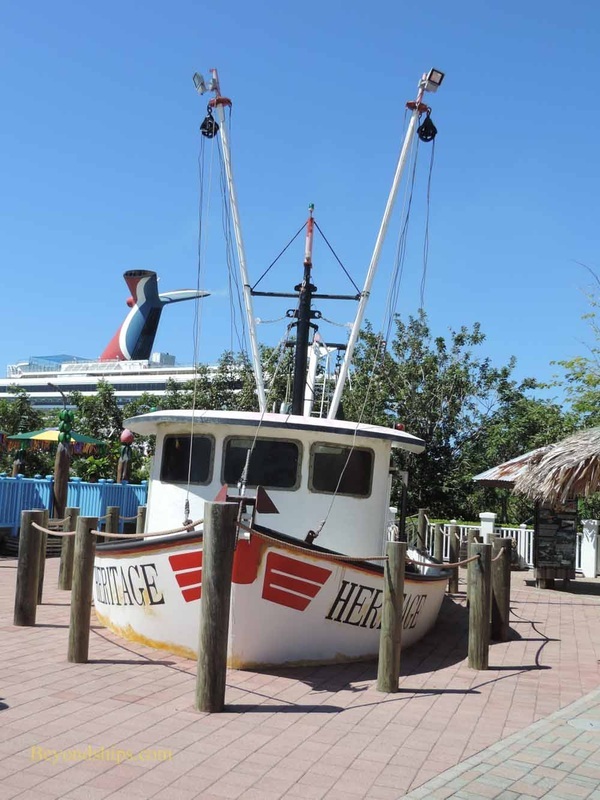 There is a booth where guests can book last minute shore excursions (above). 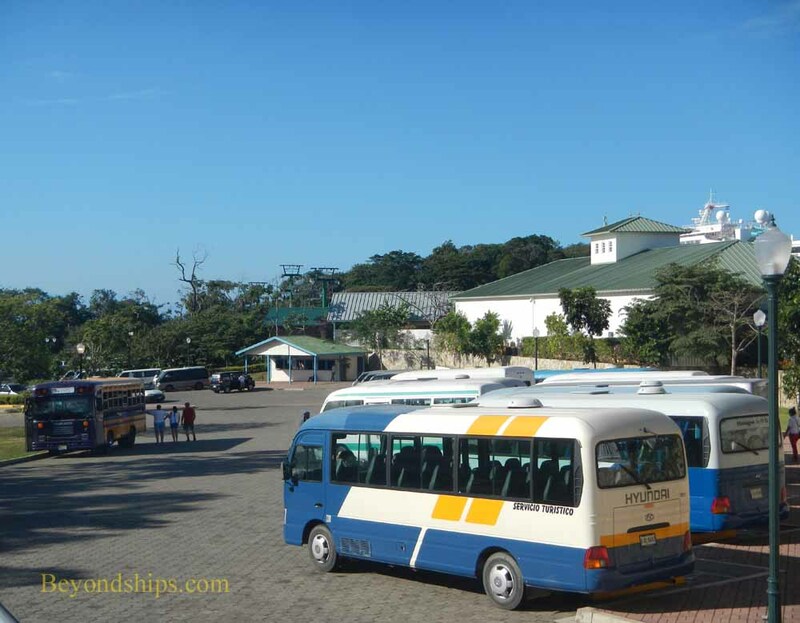 Surrounding the plaza are parking areas capable of serving 70 tour buses (above right) and some 80 taxis (right). 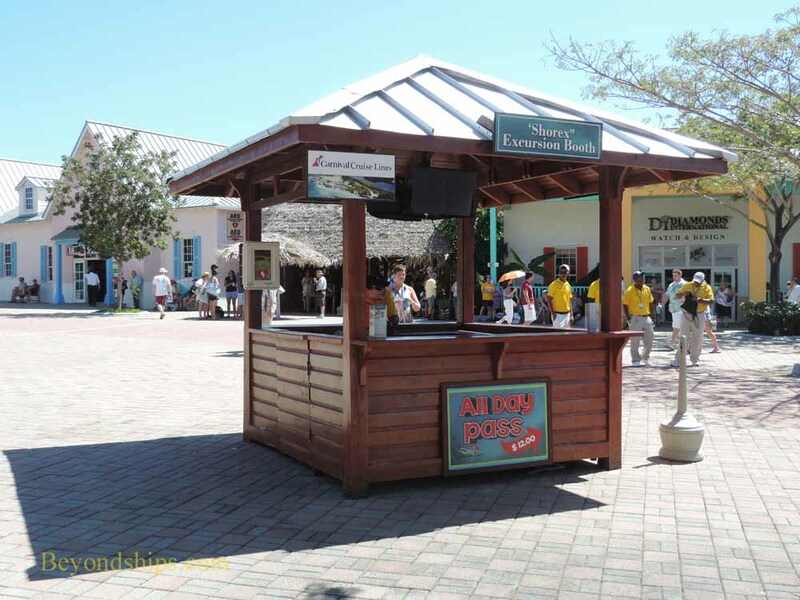 Guests can also have something to eat or drink in the plaza (right).